We are all about Maximizing your Summer Fun! Mosquito Maximus, LLC was created out of a love of the outdoors. You could say it all started for us a few years ago when we purchased 60 acres, consisting of dense woods, swamp, low land and marsh, on the Balsam Branch Flowage in Wisconsin. The setting was beautiful overlooking the flowage, but the pests (mosquitoes, flies, ticks, etc.) made it impossible to enjoy. 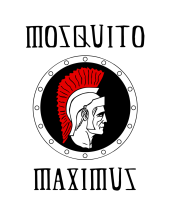 Two years ago we hired a company called Mosquito Maximus to help us control our pest problem. After the first application we were able to enjoy our property with little to no nuisance pests gnawing at our face, arms, back and ankles! After the second application, just before the July 4th holiday, we were sold on this company. For the past 30 years we owned and I operated a business in Polk County called Industrial Safety Inc. We provided safety equipment to industrial, municipal and fire departments throughout Wisconsin. After selling our business to our son in September 2017, we made an offer to purchase Mosquito Maximus. With this background in safety our goal is to provide the safest pest control program for you and your family. CONTACT US now for a free Quote.